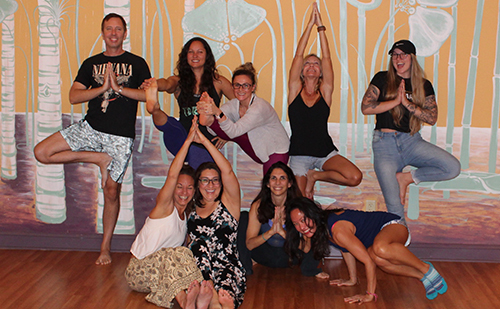 Welcome to Yoga Den Fleming Island! Whether you are brand new to the yoga mat or have practiced hundreds or thousands of times, we are honored to have you as part of our warm and welcoming community. When we practice yoga, we create much-needed space in our lives and our bodies, and at the studio you will discover a space where you can be exactly as you are while you learn and grow in your practice of yoga. We offer a variety of classes, from the most chill, meditative experience to the heated power detox (ie: sweaty yoga!). Our teachers truly teach from the heart. We care deeply about every student and work to create an atmosphere that allows you to get out of your head and into your breath and body.